To provide a place to meet and gather in a setting inspired by and connected to its beautiful natural surroundings. 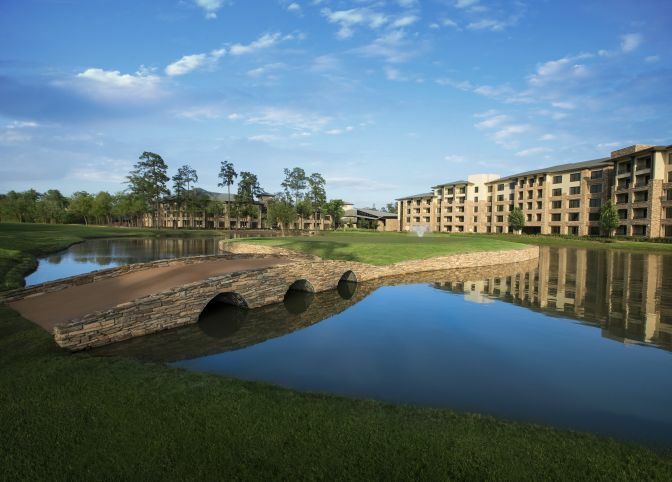 That’s how it all began in 1973 when American businessman, real estate developer and philanthropist George P. Mitchell laid out his visionary ideas for The Woodlands, a master-planned community in Montgomery County, Texas. But first he needed a place where key contacts could experience firsthand his concept of living and working in a natural environment. A place where future residents who needed a place to stay while their homes were being built. And so, a modest, 218-room property known as The Woodlands Inn opened down the street from the community’s first neighborhood in the Village of Grogan’s Mill. Guest rooms offered full kitchens and the property featured boutiques, an ice rink, and the area’s only restaurant. Fast forward to today, several multi-million-dollar expansions and renovations later, and the property has been transformed, with thoughtful investments in larger meeting space, more guest rooms, more spacious public areas, and even an entertainment experience for the entire family, the Forest Oasis: Lazy River & Waterpark. Renamed The Woodlands Resort & Conference Center, now known simply as The Woodlands Resort, the property is the region’s premier meeting destination, still very rooted in the fundamental principle of founder George Mitchell: to provide a place to meet and gather in a setting inspired by and connected to its beautiful natural surroundings. The Woodlands Resort may be a beautiful hideaway, but we’re not hard to find. 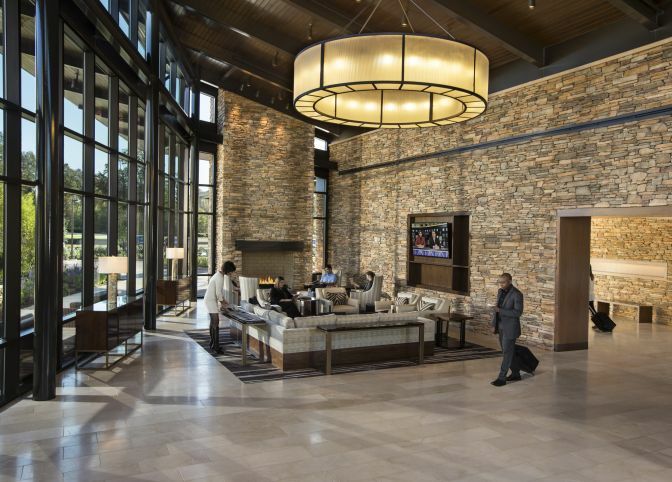 Located just 30 minutes from downtown Houston, Texas, The Woodlands Resort is easily accessible, whether you’re arriving in the air or on the ground.